FROM THE NORTH: Join M25 anti-clockwise towards Heathrow & Gatwick. Leave at J13 (signposted Staines). Follow A30 towards Staines then A308 towards Kingston. At the town centre, after passing Bentalls shopping centre, stay right then turn left at Odeon cinema and follow the one way system right around until you pass Cattle Market car park on your left. Turn right after the car park then left onto Eden Street. Follow this road and take the next left onto Lady Booth Road. The hotel is located at the top of the road FROM THE SOUTH: Join M25 clockwise towards Heathrow. Leave at J9 for Leatherhead & follow A243 towards Kingston. Join A420 towards Kingston town centre. After passing Kingston University on the right, continue straight onto Wheatfield Way and hotel will be on the left. There is no on-site parking available at this hotel. The nearest car parks are NCP Kingston Fairfields, Lady Booth Road (KT1 2PR) 11GBP per 24 hours (height restriction 1.8m) or Ashdown Road Car Park 27GBP per 24 hours (no height restriction). There is no on-site car park at this hotel. 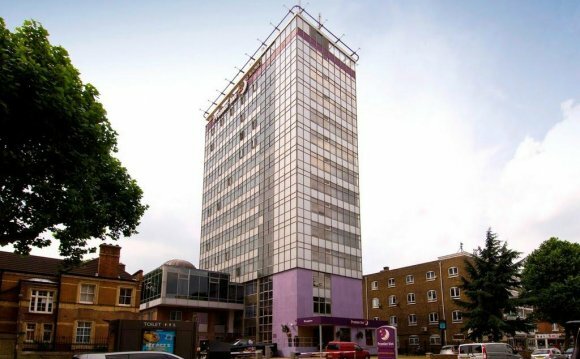 The closest car parks to the Premier Inn are NCP Kingston Fairfields – Lady Boooth Road (KT1 2PR). 11 GBP for 24 hours (2.10GBP 17.30 – 08.00) located directly underneath the hotel (1.8m Height Restriction) Ashdown Road Car Park – Lady Booth Road (KT1 2PR). 27 GBP for 24 hours (3GBP 19.00 – 07.00) located directly next to the hotel with no height restriction.